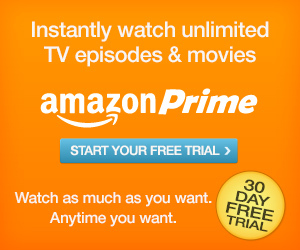 Amazon Prime, do you have it? Want to try it out for free for 30 days? You get to watch unlimited TV episodes and movies, free 2 day prime shipping, and free book rentals. I love it and its much cheaper than cable.